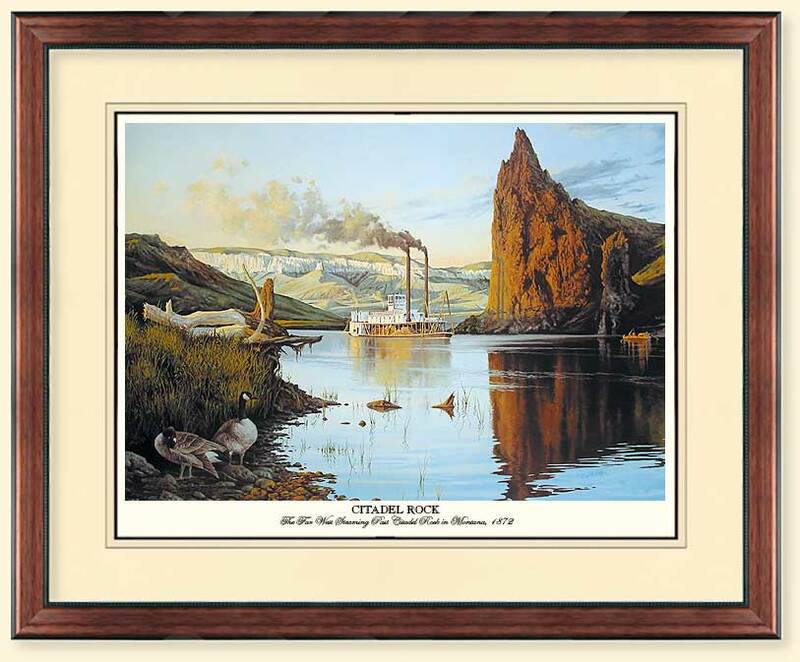 As the mountain boat Far West steams past the navigational mile post of Citadel Rock, we are reminded of the role played by the rivers of the West. They were the first highways west. Their reflective surfaces beckoned young men to find their fortune. What opportunities lie beyond the next bend had to be the thoughts of each traveler as they leaned on the forward rail of the boiler deck. The destination of the Far West on this trip is Ft. Benton, Montana. At one time, this river port was the most inland port in the world, 4,500 miles from New Orleans. 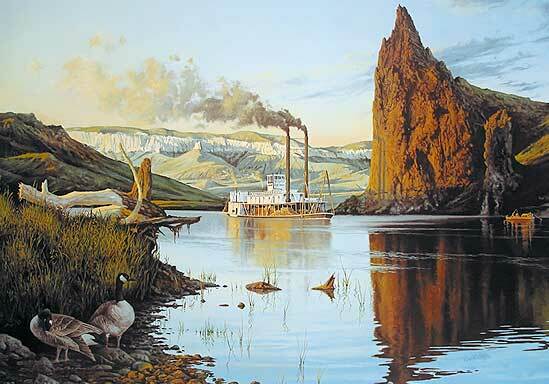 The Far West is shown steaming past the stately white cliffs and on to, for many, new beginnings in an uncertain environment. The Far West is one of the many workhorses that once plied the highways of our heritage.